There are few racing teams that can claim a partnership as long and as successful as that of Yoshimura Racing and Suzuki motorcycles. Yoshimura began as a Tokyo-based tuning garage started in 1954 by Hideo “Pops” Yoshimura. The entire Yoshimura family was involved (legend has it that Mrs. Yoshimura made molds for their exhaust pipe components). In 1971 the Yoshimuras began an operation in Los Angeles manufacturing and selling performance parts for the new generation of high-displacement Japanese bikes selling well in the American market. In that year Fujio Yoshimura moved to the U.S. with his father “Pops.” In 1977 Yoshimura and Suzuki began a partnership in international and American racing that has only gained in strength for almost 40 years. 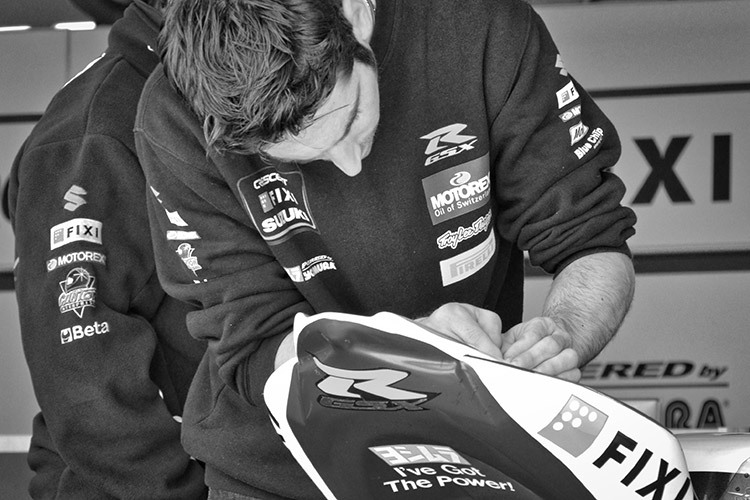 I caught a glimpse of Fujio Yoshimura at the 2012 World Superbike round (Miller Motorsports Park, Utah). 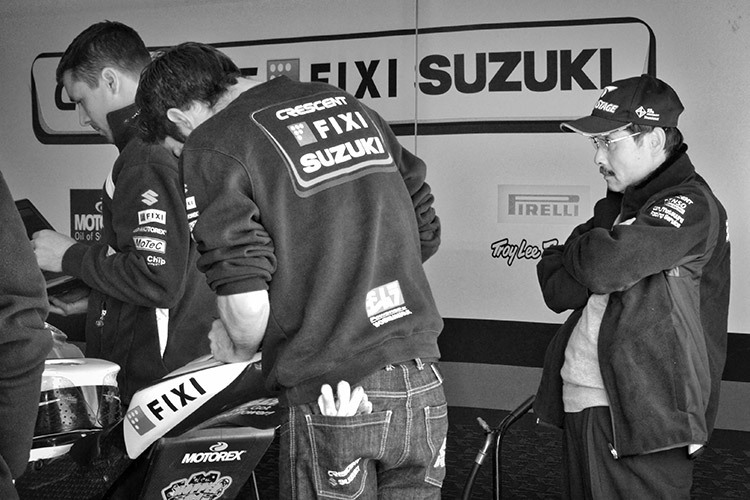 I photographed a quiet and focused Fujio Yoshimura watch over preparation of Suzuki GSX-R1000 engines, tuned to World Superbike Championship spec, supplied by his company to the Crescent FIXI Suzuki team. 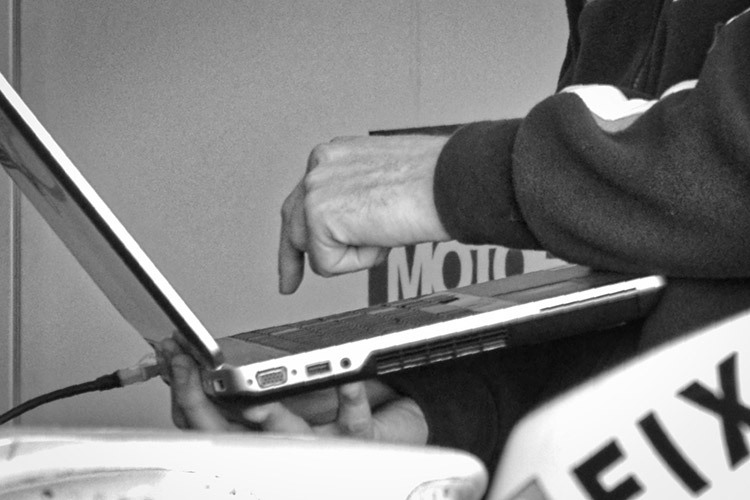 He, like all the senior management of the Yoshimura company, has hands-on experience as a talented performance tuner as well as highly successful businessman. As evidence of Yoshimura's no-nonsense reputation in racing: The Yoshimura Suzuki team in the American AMA superbike series (now, MotoAmerica) won every championship from 1999 through 2009 with only one exception in 2001. Doing what successful competitors do: keeping an eye on what other successful competitors are doing. 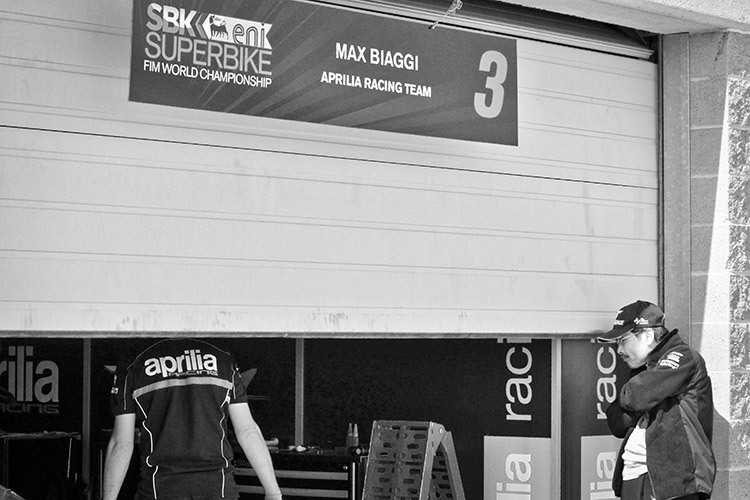 Fujio Yoshimura takes a peek into the pit garage of Max Biaggi’s Aprilia WSBK team. 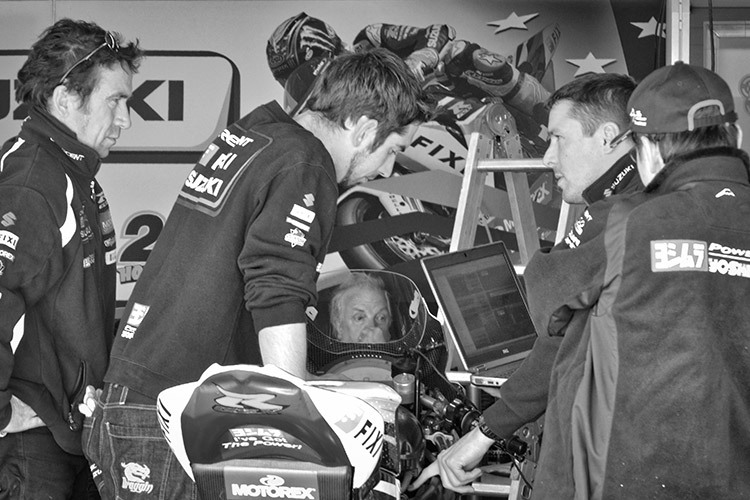 Powertrain performance tuning has evolved from almost purely mechanical to electronic controls and sensors for engine management functions during the 40 years of the Yoshimura Suzuki partnership. 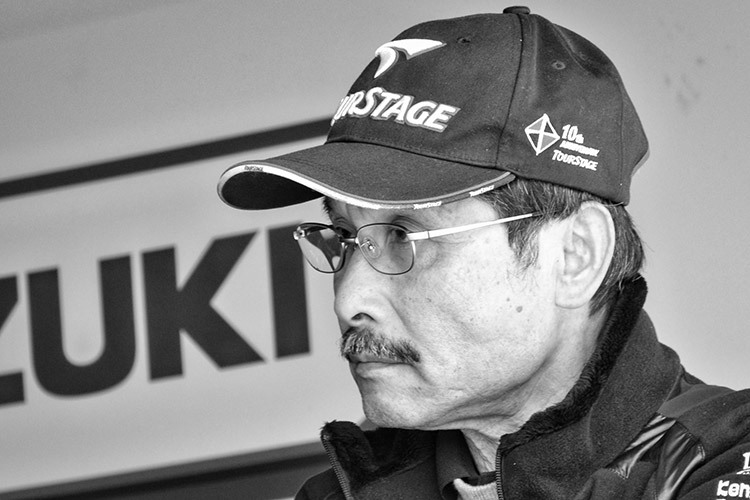 Fujio Yoshimura, and Yoshimura management team members Suehio Wantanable -"Nabe" and Don Sakakura, created an advanced R&D center for development and testing to maximize competitiveness of their race teams. Yoshimura and Suzuki: "I've got the power!"